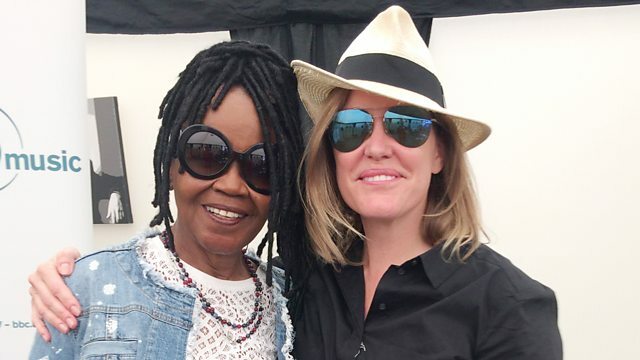 Classic jazz and new sounds from across the continents - Cerys Matthews takes you on a journey of sound live from the Cheltenham Jazz Festival. Leading UK clarinettist/saxophonist Adrian Cox debuts his brand new music live in session. Fly on the wall audio at a Seun Kuti sound check. P.P. Arnold shares her go to jazz classics. Gilles Peterson and Laura Jurd from Dinosaur share their festival experiences. Award winning drummer, composer, producer Moses Boyd joins Cerys for a post performance chat. And clarinettist Arun Ghosh shares some songs that have influenced and inspired him. Highlights from Cheltenham, featuring the best in jazz, blues and world music.